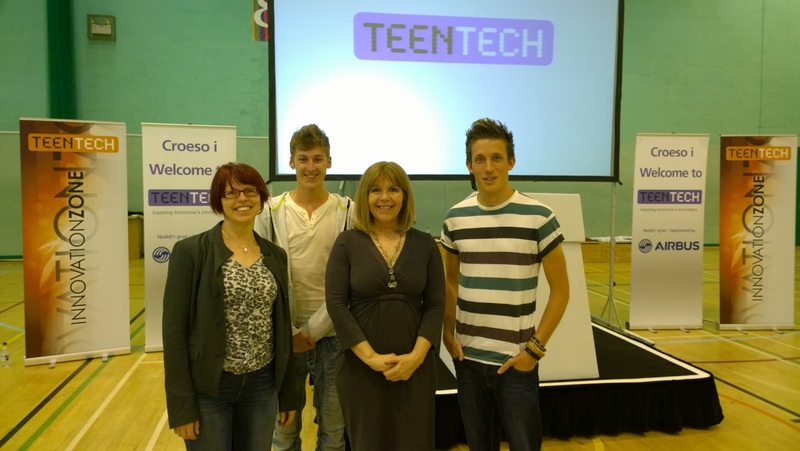 Almost a year ago, Chaos Created became involved with TeenTech, an award winning, industry-led initiative, founded in 2008 by Maggie Philbin and Chris Dodson to help teenagers understand their true potential and the opportunities available to them in the science and technology industries. Over the past twelve months, we’ve spoken at events in Kent, Doncaster, Leicester, Swansea, Wrexham, Basingstoke and, most recently, Humber. 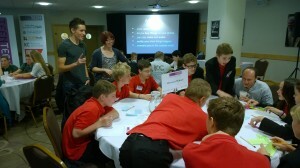 Ali Maggs, from Chaos Created, and Liz Rice, from TankTop TV, run the Innovation Zone at the TeenTech events. We give a presentation about app development and coding, and then workshop ideas with around 300 teenagers at each event, developing their ideas in small groups. The first year was fantastic, and we got the chance to work with some incredibly smart teenagers, with great ideas that many of them are taking forward. We’re delighted to be asked back for the 2014-2015 line up of events! We’re so excited about working with TeenTech again (you can read about our first year here). Not only do we get to speak in our home city of Bristol for the first time, but we have a bunch of projects that we’re working on over the Summer and TeenTech would be a great place for us to show off some of those things! We’ve also been working on some more technical-led workshops for UK primary schools. Last month, we were invited to teach at the Woodside Primary Academy in London, teaching a year five class (who had never coded before) about app development, and we even coded up a simple game in an afternoon. You can read about our Chaos Created Code Workshops at http://code.chaoscreated.com.